Niuscha Bassiri has a solid track-record as counsel and arbitrator in numerous international arbitrations under the major arbitration rules (e.g., CEPANI, DIS, ICC, LCIA, NAI, UNCITRAL, VIAC), governed by various procedural and substantive laws, relating to diverse legal issues (e.g., investment, distributorship, joint ventures, licensing, patent, post-M&A, sales of goods) and sectors (e.g., banking, construction, energy, finance, HoReCa, insurance, mining, nuclear power plants, oil & gas, pharmaceuticals, satellites, telecommunication, transportation). She also acts in setting-aside and enforcement matters under the New York Convention regime. A frequent public speaker on arbitration-related matters, she has been lecturing for nearly a decade at the ICHEC Business and Management School in Brussels on International Commercial Law and Dispute Resolution. 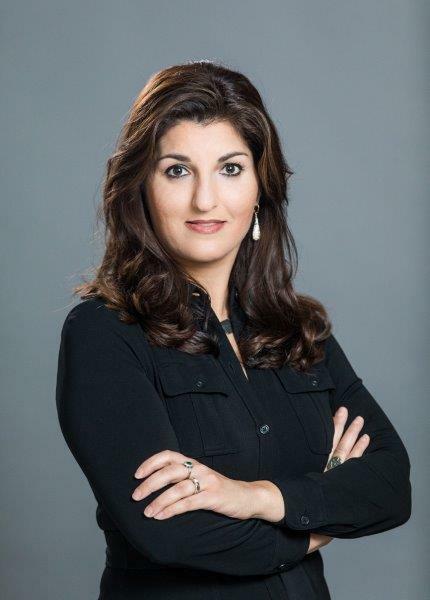 Ms. Bassiri regularly publishes on novel matters concerning international arbitration, such as arbitrators and their online identity, and is the co-editor and author of the sole English-language commentary on the Belgian arbitration law “Arbitration in Belgium”. She is also a co-author in the leading German language commentary on the ICC and DIS Rules. She is Vice-President of the Belgian Chapter of Club Español de Arbitraje and a member of the International Board of the Finnish Arbitration Institution, the Editorial Board of the Journal of International Arbitration, the IBA Investment Arbitration Sub-Committee, IBA Rules and Guidelines Sub-Committee, ICC Belgium Commission on Arbitration, ICC Task Force on Emergency Arbitrator Proceedings, the ICC Institute of World Business Law, and the SIAC Users Council. She is member of the Austrian Arbitration Association, Belgian Centre for Arbitration and Mediation (CEPANI), the inaugural panel of arbitrators of the British Virgin Islands International Arbitration Centre, the German Institution of Arbitration (DIS), International Bar Association (IBA), the International Council for Commercial Arbitration (ICCA), and the Singapore International Arbitration Centre (SIAC) Panel of Arbitrators. She attended the Universities of Cologne and Barcelona. She is admitted to the Cologne Bar and is a member of the Brussels Bar. Ms. Bassiri holds German and Iranian nationalities. She is a native German and Farsi speaker, who is fluent in English, has a working knowledge in French and Spanish and good understanding of Dutch. Niuscha Bassiri was ranked worldwide in 2017 as one of the top 20 Who’s Who Legal’s Future Leaders—Arbitration and described by peers and clients in Who’s Who Legal Arbitration 2016 as an “extremely sharp arbitrator and counsel”, and in 2017 as a “a personable, responsive and innovative arbitration specialist” who is praised for her “clever and sophisticated advocacy”. In the upcoming Who’s Who Legal—Arbitration 2018, she is mentioned as “the best in Belgium” and that she is “‘strongly recommended’ for her impressive work on commercial and investment arbitrations as both counsel and arbitrator”.